A blog about books and bookish things. Features reviews, hauls, tags, and any literature-related thoughts I may have. It is officially day 2 of Bout of Books! How is everybody feeling? Are you making good reading progress so far? I'm having a great readathon, but I think it's time for a break, so why don't we do a bit of challenge? Being a reader who gets very (maybe even overly) attached and invested in characters, one thing I love to discuss with other readers is their OTP, or one true pairing. For this challenge, I want to hear all about your favorite literary OTP. Tell me why you ship them. Tell me how perfect they are for each other. Vent about how frustrating it is that the author paired them with other people. Give me proof about why they are actually canon, but nobody knows. I want to hear it all. Share your thoughts in a comment on this blog, a blog post, a tweet, on Facebook, etc, and then put the link into the Rafflecopter below. Of course, you have to be participating in Bout of Books 11, so don't forget to give me your sign-up name and number from the original sign-up post. You can also gain an extra entry for following me on Twitter. 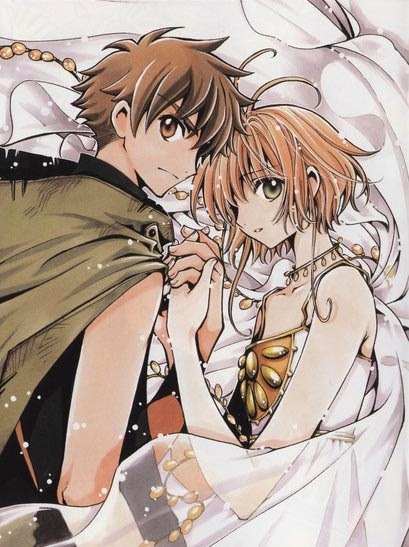 My OTP is Syaoron and Sakura from Tsubasa: Reservoir Chronicle, a manga by C.L.A.M.P. I cannot contain my feels when it comes to them. Their story is so sad, but that's what makes it beautiful to me. I am grateful that they aren't a case of insta-love but, rather, a deep friendship that turned into love. They encourage, support, and protect each other. Even though they are on a difficult and dangerous journey together, they are strong for the other person. And Syaoron...oh Syaoron. He gives up so much for Sakura, all while concealing the pain of her forgetting him. I can't handle the tragedy of it all. Your entry doesn't have to be as verbose as that, especially if you are entering on Twitter. I just have a lot of feelings concerning this couple. However, you can also say a lot more than that. It's up to you. This giveaway is open internationally, and the winner will receive $25 for The Book Depository! I can't wait to read all of your entries. I'll definitely pay more attention from now on. If you don't have an OTP, you can tell me about a literary couple you just like. I'm not that invested, but I do have some favorite pairings though! Clare and Simon from TMI. Everyone thinks she belongs with Jace, but I disagree! Simon's so good for her; he's thoughtful, helpful, respectful etc. Don't even get me started. Another couple I'm shipping is Eleanor & Park. Oh my gosh! They're so cute together! Definitely worth a lot! I shed a few tears while reading the book, because it was just so sweet and yeah, I don't know. SOme people just BELONG together - and they do! I've never read that. However, I really love it when two broken characters come together and make each other whole! Another couple I recently fell in love with for one true love (a book I read for #boutofbooks) is Jenna and Cameron in Sweethearts by Sara Zarr. I don't want to give anything away in case no one has read it but they have known each other since they were kids. They have a very special connection and shared experience as 9 yr olds. Then Cameron disappears for years, only to show up 8-9 years later. Immediately there are questions and the connection they have......ahhh the feels. I'm still not sure how I feel about the ending......just finished reading this one last night, but I really enjoyed the character development and the connection between these two. I like couples that start out as childhood friends. The building of a relationship over time almost always seems more realistic to me. My OTP is Sorcha and Red from the Sevenwaters series by Juliet Marillier, they stole my heart years ago when I first read Daughter of the Forest because *cue gif* their love is LEGENDARY. Sorcha is shattered when they first meet, awful things happened to her, and she can't talk, can't explain what's going on, what she wants or not, but somehow Red knows how to deal with her, he knows he needs to wait, he knows he needs to give her space, because she can't even think of being with someone, and he respects that ALWAYS. He never stops loving her though, or protecting her, or doing everything he can to keep her safe. I can tell how passionate you feel about them! Choosing just one is super hard, but currently my favorite OTP is Lainey and Micah from the Art of Lainey. I think they are an awesome balance for each other, beyond adorable, and have the potential for building a really strong, healthy relationship. I also don't really have an OTP. I'm a huge fan of Mac and Jericho (Fever series by Karen Marie Moning) and shipped them from BOOK ONE. I wanted them together and even held out hope when it seemed literally impossible. My favorite OTP is Merlin and Morgana from the BBC series Merlin. To me, they're just perfect for each other and to quote the show, Morgana is "the darkness to his light" and "the hatred to his love." I have so many OTP, but the one that I love immensely is Four and Tris from Divergent series by Veronica Roth. Its a literary couple, one that I wouldn't want to be seen with anyone else. Veronica has done an amazing job with Four and Tris and I loved them even when Four was JUST her trainer and when they became one, it made my day!!! They complete each other and Tris has helped Four in ways no body could have done. My OTP would have to be Katniss Everdeen and Peeta Mellark (aka "Everlark") in the Hunger Games Trilogy. Peeta is in love with Katniss at a young age and Katniss doesn't even notice him. She, however, likes to go hunting with Gale which the author in turn hints at a "Love Triangle". You learn that Gale has feelings for Katniss but she doesn't know what to think about that. Fast forward, to the area and the Games, Katniss fakes being in love with Peeta in order to save them. Peeta is all "woo" but once they're back home in their district he realizes that Katniss is super happy about seeing Gale and he probably won't see her again. It isn't until Catching Fire that Katniss truly realizes her love for Peeta. In Mockingjay, he gets hijacked, but Katniss sticks by Peeta's side until his brain gets back to normal. The epilogue to conclude the entire series was just perfect. My favorite couple is Meg Murray and Calvin O'Keefe from A Wrinkle in Time (and other L'Engle books, but Wrinkle is the first I read). Their relationship is not the focus of the book at all. Wrinkle is a bit like Narnia, religious undertones mixed with fantasy/scifi. There's an understated acceptance that these two love each other. At the end of the book, Calvin says 'for the first time I'm going home,' or something like that, after being invited to the Murray's house for dinner. He just met the Murrays and Meg a few days (?, time is a bit wonky) ago and he already loves them. It's not necessarily romantic love off the bat, but Meg and Calvin are drawn to each other. Meg/Calvin is cannon, since they do get married and have loads of children. But there is never a discussion of like or love or marriage. Their relationship is just there. Ugh, I love these books so much. They definitely end up together, but my absolute favorite couple is Charlotte and Richard from STEEL'S EDGE,the fourth book in the Edge series by Ilona Andrews. These two are just so perfect for one another! They're both a little broken, but too strong to admit they need one another for a long time. Watching them together made me swoon. I swear, I cried more reading that book than any in a long time! LOL. I love them! Thanks for letting us share! My favorite couples change often - but I would have to say after finishing Isla and the Happily Ever After last night - right now my favorite couple is Josh and Isla. The book is absolute perfection! Oh I love Yuki and Zero! The Yuki/Zero/Kaname love triangle is one of my favorites. I even put it in my Top 5 Love Triangles post. I totally agree with you about Syaoran/Sakura. CCS is an anime I watch whenever (no matter what age) and still feel giddy. I haven't seen all of Tsubasa so I can only use CCS as my source. I own all of the Cardcaptor Sakura episodes. That was the first anime (besides Sailor Moon haha) that I got SUPER INTO. I even had a board game of it. I wasn't even aware CCS had a board game! Ha! Are you watching the new Sailor Moon? It brings me back like 10 years. I can't wait to squee like I'm nine again. This was a difficult challenge. It took me a while to choose one OTP, but I kinda ended choosing Elizabeth Bennet and Mr. Darcy. Elizabeth and Darcy are the original OTP I think. I love them. I don't have ONE OTP, I have a whole navy of ships from Harry Potter. My first ship ever was Dramione. They were perfect for each other. Romione makes me sick, sorry people. She's far too smart for him. Then I moved on to Drarry, and yes I can ship both Drarry and Dramione at the same time but not in the same story because I don't do that OT3. Draco and Harry is just... right. Seriously, it's like a guy pulling a girl's pigtails to get her to notice her. Sometimes when reading Dramione or Drarry gets frustrating (because it's not canon) I move on to Sirius/Remus or Albus Severus/Scorpius because it's not really NOT canon so I can pretend that it is canon and that makes me really happy. Plus, next gen gives you so much room to play around with. Okay. I think I've rambled enough. What a unique challenge. I decided to pick Karou and Akiva from Daughter of Smoke and Bone after bypassing some others. I just read the book so their love for each other is fresh in my mind. My OTP(s) are Mark and Courtney and Bobby and Loor from Pendragon. Awesome challenge! It was hard to pick one of all the pairings that I love! But I went with Charlie and Sam from The Perks Of Being a Wallflower. I have so many favorite pairings, I've begun to lose count — especially when my "OTP" changes every other week. Currently, I am a big fan of Liam and Ruby from the Darkest Minds trilogy (probably because the final book is coming out soon and has constantly been on my mind). Individually, I adore their characters; they are both so strong and loyal and fierce and I think that together, they make an awesome team. Ruby is very passionate and intense and Liam is more laid-back and logical. To me, their attributes/characteristics work well together and where one fails, the other picks up the slack. Also, they just make a really cute couple. I don't really get OTP, but I'll give it a go! I think mine would have to be Frodo and Sam from Lord of the Rings. Like I don't REALLY want them to be romantically related, because they're so pure, but I can't think of anybody else! Their relationship is just so beautiful, I can't stand it. Sam is consistently the most hopeful, pure character. At one point he considers what he would do if he had the ring and it almost turns dark, but then he's just like "whatever, I don't even want that, I have a garden and that's enough." So cute. He's the perfect light for Frodo who becomes increasingly desperate and defeatist. Frodo doesn't look at any character like he does Sam. I can't handle it. Fram forever. I'm not certain I have a OTP, but I'm going to go with Sabriel and Touchstone (Abhorsen trilogy). The series isn't really about their relationship, but I think that is what I like about it. I think they were one of the earliest couples, if not the first, I encountered in a book and I've always appreciated how real their relationship felt to me. I love Sabriel and Touchstone together! OH GOODNESS! Where to start?!? I'll start with the most obvious....I would ship Hermione with anyone other than Ron (and I did back when I wrote/read a lot of HP fanfiction!). Harry and Hermione, Draco and Hermione, and heck, even Neville and Hermione (though I will say, I was totes an H/Hr fan ALL THE WAY!). My most favorite literary couple would have to be Laila and Tariq from Hosseini's A Thousand Splendid Suns. To me, they are perfect and beautiful. And as for my "OMG I HOPE I HOPE" OTP.....JON SNOW AND DANARYS (though there could definitely be some hiccups with that). Thanks for hosting! Loved this challenge! I feel the SAME WAY about Ron and Hermione. Just please...no. Care to share some fanfic? I am obsessed with HP fanfic. My name is Crystal. 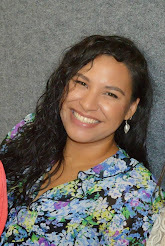 Come and talk books with me!